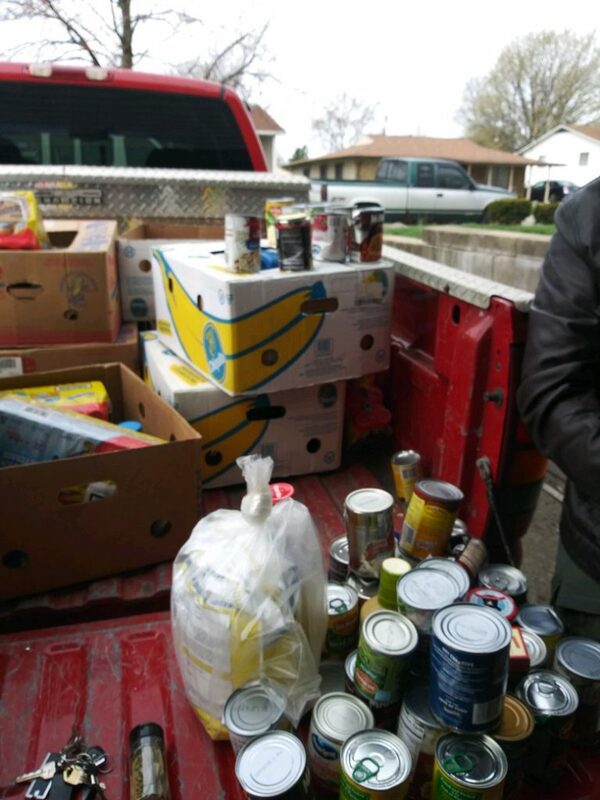 HVAF provides food to Indy's homeless camps | HVAF of Indiana, Inc. When you picture downtown Indy, what do you see? Delicious restaurants? Hip music venues? Entertaining street performers? Monument Circle? What about any homeless camps- or as they are usually called, tent cities? 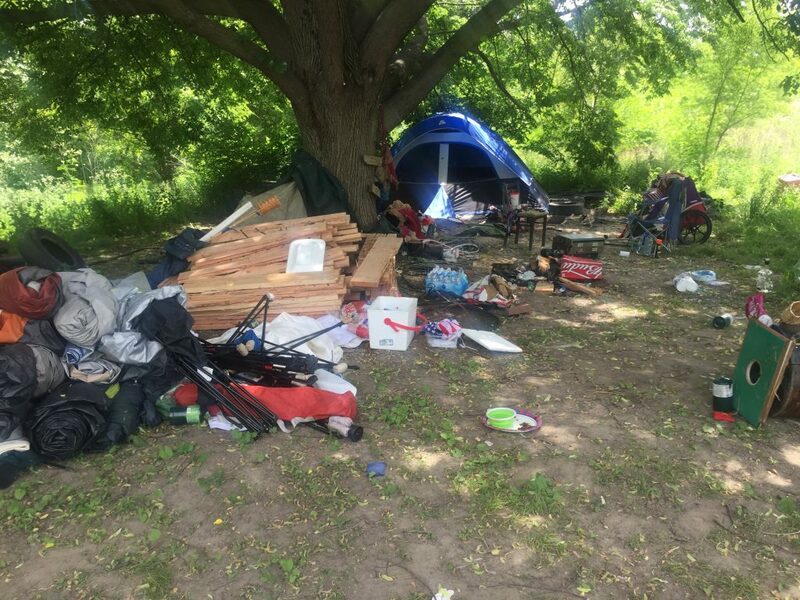 All throughout downtown Indy, in places you would have no idea, homeless camps are set up. Tents, bags, mats, blankets, and other items are strewn out as those living there work to survive each day and night. 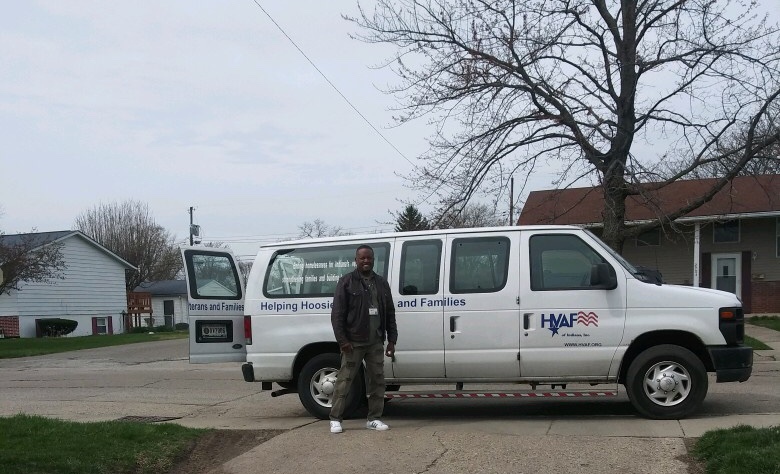 We are thankful to have Rodney Jackson (a veteran himself) on staff, where his full-time job is to go throughout the tent cities, identify the homeless veterans, and let them know about HVAF and how we are available to help them. 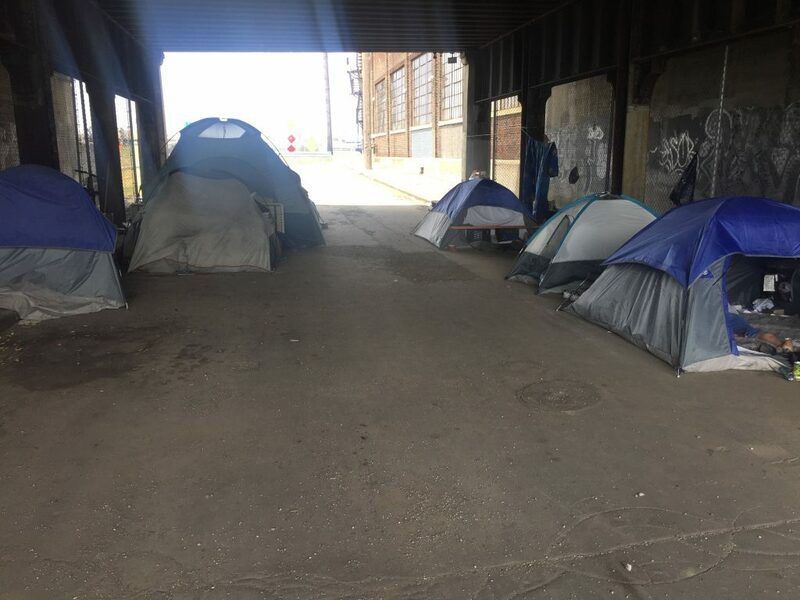 Check out more about what he does to help those living in these tent cities here, via Fox59 and CBS4. 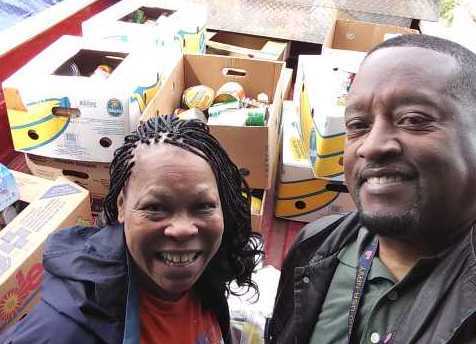 Earlier this week, Rodney received a big food donation from Lynn Coleman from The Todie Foundation to give to those living at the tent cities. 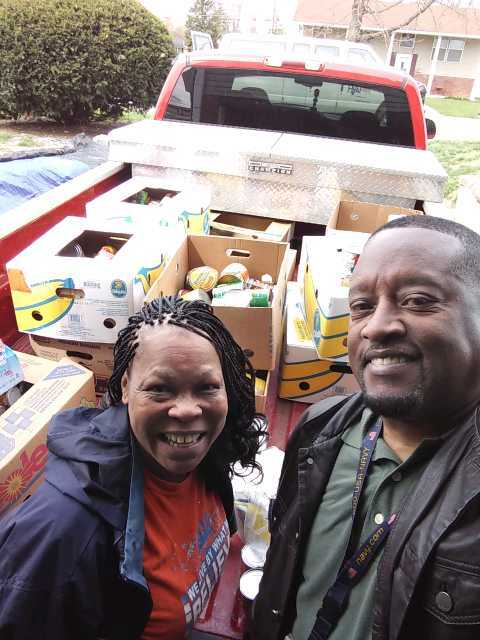 We are thankful for Lynn’s partnership so we can reach lots of homeless veterans… so we can get them off of the streets and into a life of self-sufficiency!